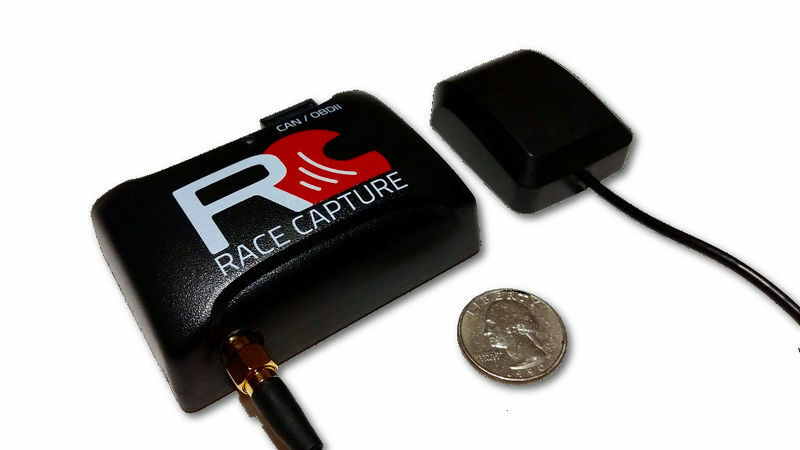 Unpackage the RaceCapture system and included OBDII cable and GPS antenna. Plug one end of the OBDII cable into the RaceCapture RJ45 port. 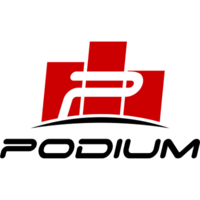 Place the RaceCapture system on a level surface in your car, with the connectors facing forward and logo up. This is the factory orientation for the accelerometers and gyro. Note If you must install the unit in a different orientation, install with 90 degree orientation to the plane of the vehicle; e.g. flat/upright, on-edge, upside down - etc. Avoid installing at an angle. If installed in a non-standard orientation, you can go into Setup and re-map the accelerometer and gyro channels to match your changes. Ideally, install the unit in a hidden location, shielded from heat and moisture. You can attach the unit with hook and loop fastener, if that is convenient. Attach the GPS antenna connector to RaceCapture and screw to 5-6 inch lbs - just beyond finger tight to prevent the connector from vibrating loose. Do not overtighten. Ideal: Mount the antenna on the roof of the vehicle, using the magnetic mount. Place the antenna with minimum 3 feet spacing from other transmitting antennas (car radios, cellular antennas, etc). Alternate Mounting: You can mount it on the dashboard in clear view of the sky, or on the rear parcel tray under the back window. Note, this may degrade your GPS performance vs. roof mounting. We recommend connecting with Bluetooth when using Android devices. Under your phone/tablet's Android Settings, navigate to the Bluetooth section. 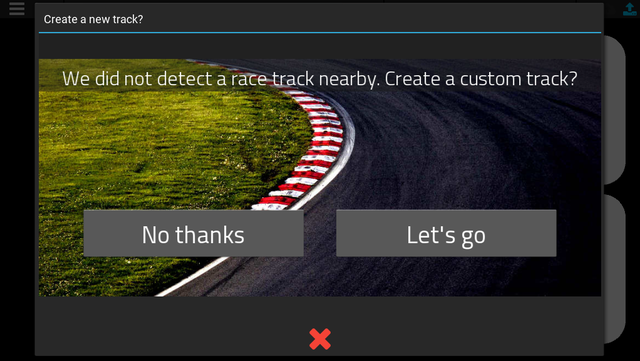 Select the option to pair a device. Your phone/tablet will search for available devices. 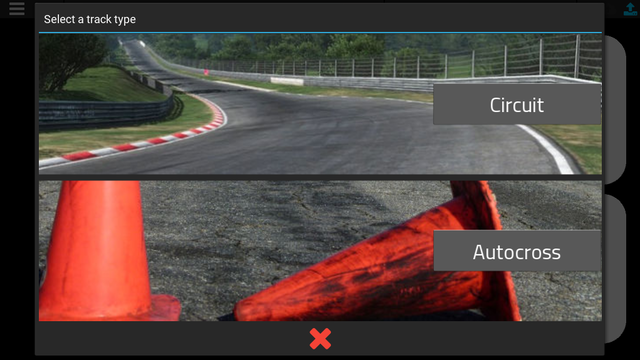 Once the RaceCapture device is found, select it to pair. Note: The default password is 1234 - you can change this later under Setup. Under Android settings, navigate to the WiFi section. 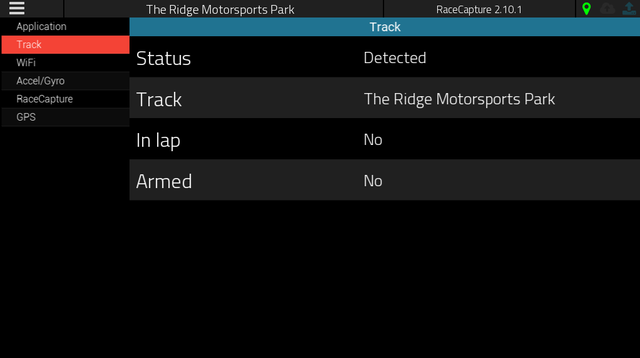 Wait until you see the RaceCapture WiFi network. Select this network to connect. Note: No password is required for the initial connection - you can set a password for your WiFi network later under Setup. 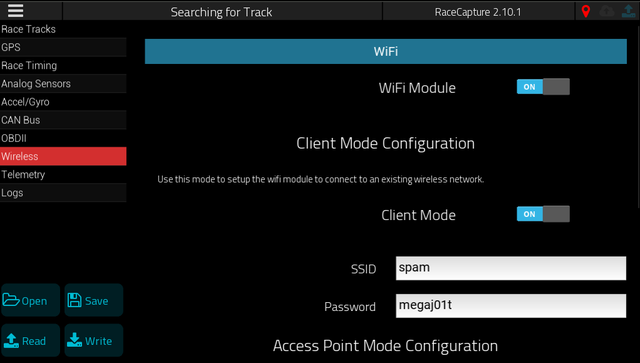 Due to iOS's limitation for Bluetooth connectivity, only WiFi connection is supported for RaceCapture. Under your iOS settings, navigate to the WiFi section. Launch the App and follow the automatic installation guide. Most gauges can be customized for the channel and setting visual alerts. Touch the gauge you wish to customize, select the channel you wish to monitor and optionally configure alerts and warnings. 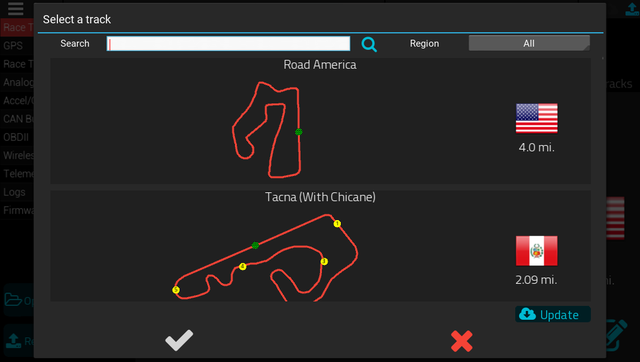 RaceCapture offers predictive lap timing, which relies on a robust track detection system using hundreds of track maps worldwide. 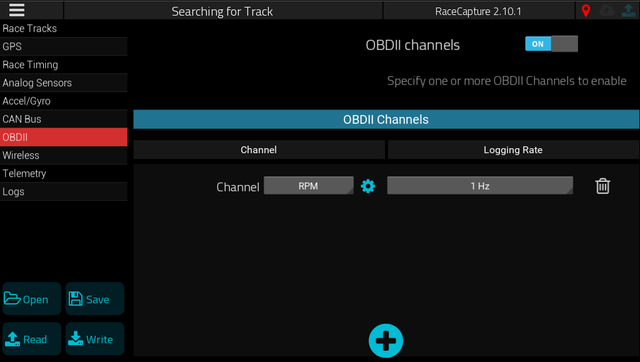 When the RaceCapture app first connects to your RaceCapture/Track system, it will read the current settings. 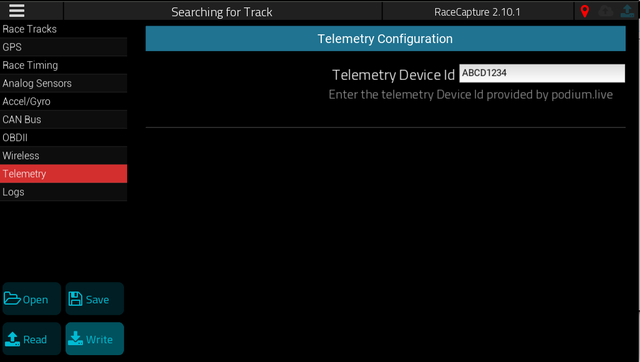 When telemetry is broadcasting, you will see a green cloud icon in the application toolbar. Navigate to your Podium home page to see a list of your events - select the newest event to see your live data. 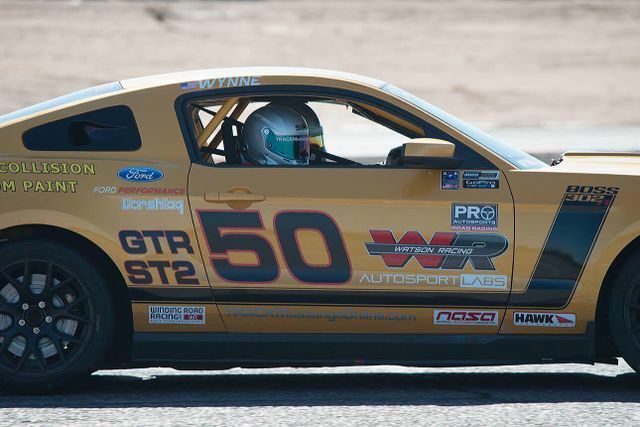 Install the included decals on your car in prominent locations - for a guaranteed +5 HP! You can build a custom cable for power and CAN bus using a standard CAT-5 ethernet cable with an RJ45 connector. Wire up using the following diagram. 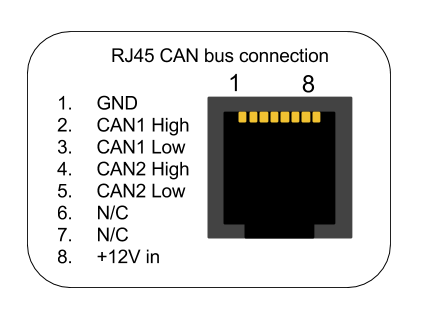 Note: OBDII is enabled by default on CAN1; CAN2 is recommended for secondary sensor networks. 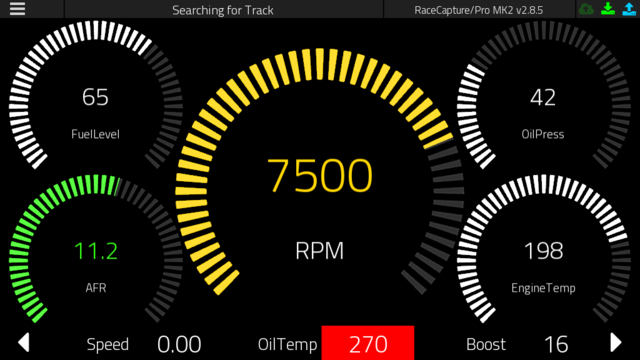 You can use AnalogX to add 4 additional sensor channels, connected to to the secondary CAN bus of your RaceCapture system. Integrating AnalogX requires splicing 4 wires and using a commonly available straight-through RJ45 splitter. 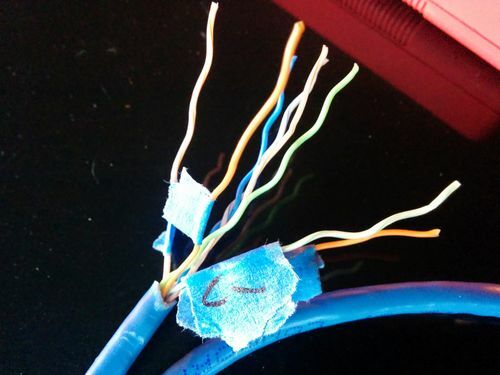 Splice the following connections between AnalogX and an RJ45 cable with one end cut, forming a pigtail. 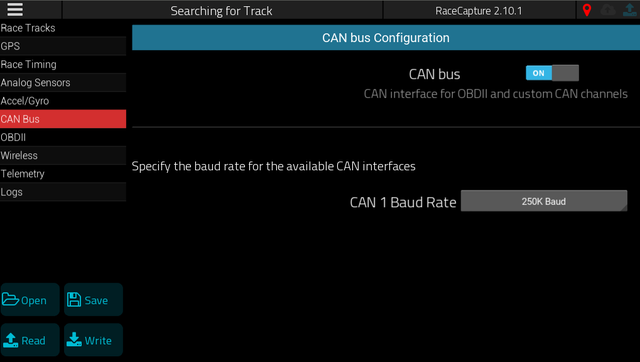 AnalogX will receive power from the OBDII cable, and provide data to RaceCapture via CAN2. The default baud rate for AnalogX is 500K. If you still have it set to the default, ensure this is set under the CAN bus settings. Select the starter CAN preset for AnalogX. This will bring in the basic 0-5v mapping, which you can then calibrate further using the CAN mapping conversion formula. 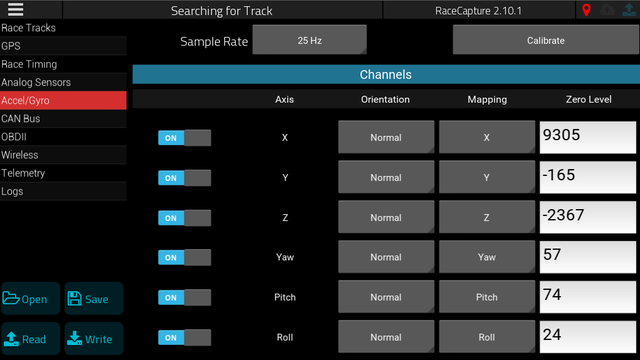 See the AnalogX setup and calibration guide to calibrate your sensors.